National Canadian Film Day is a celebration for all Canadians to reflect upon the incredible achievements of our filmmakers. On April 17th 2019, I hope you come out and celebrate NCFD as an event of unprecedented awesome as North Bay joins the nearly 900 film-based events across CANADA and the hundreds of thousands of Canadians that are celebrating with us. 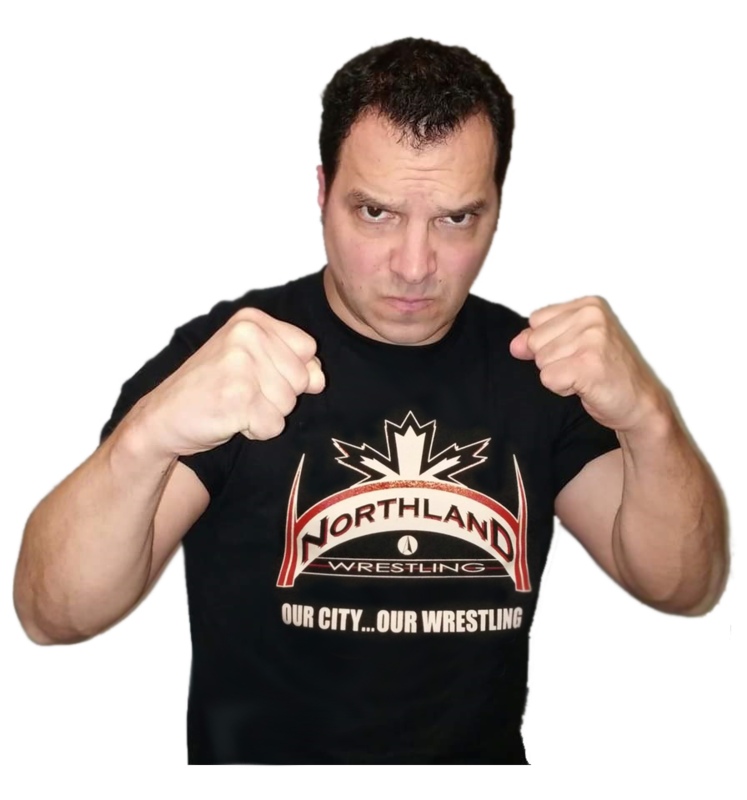 For my programming contribution to this year’s NCFD, I wanted to celebrate Northland Wrestling and all the hard work that everyone does to make a wrestling community here in North Bay. When I saw that the National Film Board had multiple films about Wrestling, I couldn’t help it. I had to program a free night of wrestling fun as a thank you to all the local wrestlers and to everyone that makes Northland Wrestling AWESOME!!! On April 17th, starting at 7pm, Galaxy Cinemas North Bay will be screening the short NFB film “Wrestling” followed by the feature “Hitman Hart: Wrestling with Shadows“. These screenings will be FREE and open to the public. Dann Jarris of Northland Wrestling in action. Local celebrity and professional wrestler Dann Jarris will be joining us to talk about regional wrestling events and introduce the films. Come out and witness some wrestling history as we get a glimpse into the lives of professional wrestlers from some of wrestling’s beginnings in the early 1960’s and then from the 1990’s. I am very excited to be presenting these two films to the public for free and look forward to seeing you all there! Come out and show your support for Canadian film! 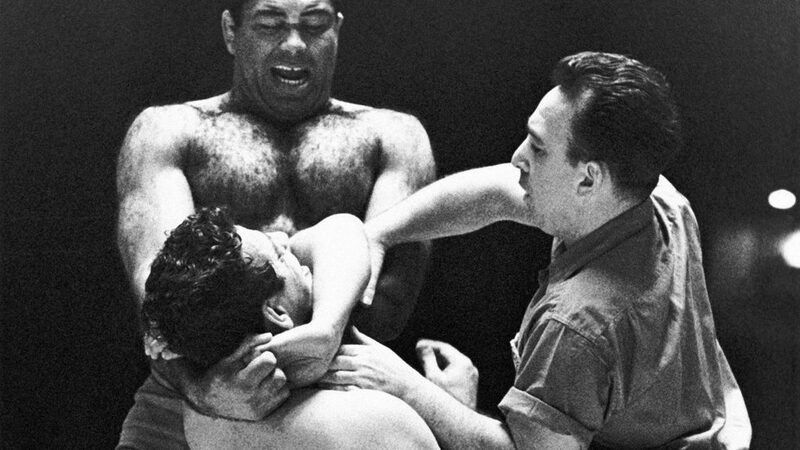 A candid-camera view of professional wrestling as seen in the Montréal Forum, where some of the biggest bouts are staged, and in back-street wrestling parlors where the warriors practice their art. Nothing escapes the probing camera as well-muscled tyros grapple, punch, squirm, roar and grimace, adding their own variations of showmanship to amuse and excite the crowd. In this feature-length documentary, director Paul Jay was given unprecedented access to the world of Bret Hart and pro wrestling as his camera followed Bret “the Hitman” Hart for one year. Going behind the tightly guarded walls of wrestling’s spectacle and theatre, the film explores the meaning of today’s wrestling morality plays. As fantasy crosses into real life, the true story of Bret Hart’s struggle with Vince McMahon, the legendary owner of the WWE, is revealed. Hitman Hart: Wrestling with Shadows climaxes with the tale of the biggest double-cross in pro wrestling.